When your vehicle breaks down or needs servicing but you want to save time and avoid the inconvenience of leaving your vehicle at a workshop, a mobile mechanic is the best solution that offers efficiency along with the benefit of accessibility. Mobile mechanics can come to your location, wherever you may be. A quality mobile mechanic service is dedicated to offering comprehensive services, repairs and convenience while prioritizing safety and credibility. There are several reasons why the services of mobile mechanics are highly recommended. One of the major benefits of mobile auto mechanics is that they go the places that are convenient for their customers, including home, business premises and work. If your car breaks down, mobile mechanics are available to travel and meet you to provide the required service or repairs. With a mobile service you do not have to worry about your schedule being interrupted. There is no need to drop your car off at a workshop and find an alternative ride back home as well as a way to get your car back. A mobile mechanic service consists of trained, experienced and qualified mechanics that have the ability to determine the problems that affect your car and offer timely solutions. Mechanics may work on your car with the necessary parts and tools where you are or arrange for transportation to move your vehicle. Conducting repairs within a reasonable amount of time will ensure that your car is functionally effectively and gets back on the road faster. Customers who have experienced the benefits of hiring a mobile mechanic are aware of the ease that is associated with this type of service. They are assured that their car is being professionally repaired and serviced while they handle other aspects of their lives. Since a mobile auto mechanic service is responsible for thoroughly and cost-effectively servicing your vehicle, the peace of mind you gain is priceless. Mobile mechanics are equipped with experience, skills and the ability to provide a wide range of services. Customers can rest assured that the needs of their car will be fulfilled and all issues will be dealt with immediately. A mobile mechanic is qualified to address problems that affect various parts of the car, ranging from transmission to the braking system. Regardless of what your car problem may be, mobile mechanics will respond rapidly and effectively. 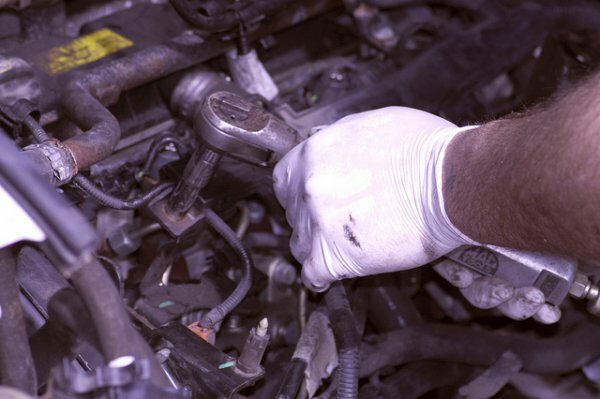 Mobile mechanics do not have to cover the typical overhead costs of a traditional repair shop. These savings are transferred to their customers who enjoy affordable services and no concerns regarding hidden costs. Mechanics arrive at the scene of a breakdown and this spares people from the task of calling tow companies and incurring extra costs. Mobile mechanics value their reputation and referrals. They pay keen attention to detail of their work and are committed to leaving their customers satisfied and being recommended to other potential customers. Customers do not have to endure long waiting periods for appointments and their mechanics provide immediate estimates that are based on competitive pricing. Cars can break down at any time and such a situation can be extremely frustrating and inconvenient. The good news is that mobile mechanics are always available for emergencies.